April 2019 Edition of Power Politics is updated. Wishing You All a Happy New Year. 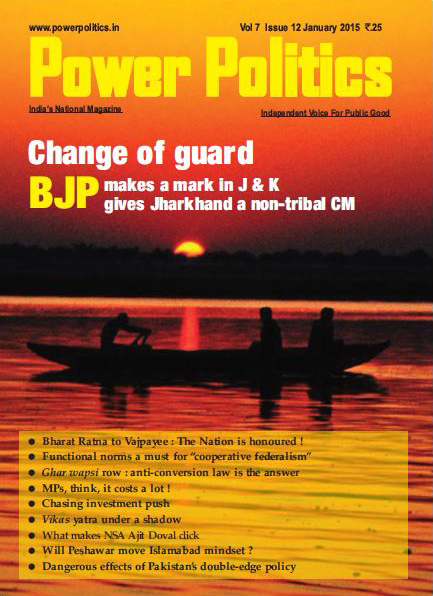 April 2019 Edition of Power Politics is updated. 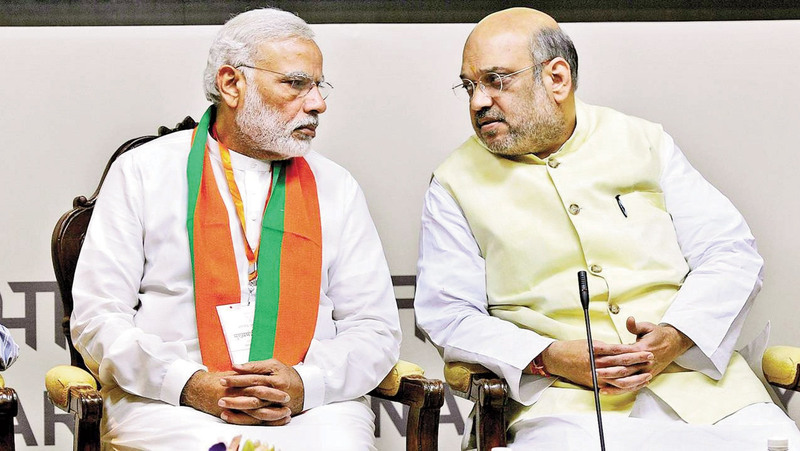 Narendra Modi and Amit Shah The voice of dissent, whether in the ruling party or outside it, is the very essence of democracy. The momentum of democracy actually depends on the free play of ideas and functional freedom at all levels of the polity. The rise of Indira Gandhi could, in a way, be attributed to her fighting spirit against the established clique of what was then termed as Syndicate v. Indicate in the Congress. It is a pity that the reins of power made Indira self-centred to the detriment of all those who meant well and had a mind of their own. Looking at today’s Modiphenomenon and the marginalization of the BJP stalwarts from the mainstream of the saffron party, what is being said here is more in anguish than in anger. True, in politics, the two situations – public image and private facts - hardly agree. There are therefore, everwidening gaps between what is visible publicly and what is practised privately. Herein hangs a tale of distorted functioning of our democracy even at party levels. It is not necessary to discuss individual politicians. But the nation’s entire focus today is on Prime Minister Narendra Modi and his most trusted man from Gujarat, BJP chief Amit Shah. They are setting the agenda for the battle of 2019 poll and beyond. If jingo with a bullet is a rare sight, as George Orwell once stated, a clean politician is even rarer. The question is not of who is more corrupt or who is less corrupt. In our vibrant polity, there are good politicians, bad politicians and indifferent politicians. But the challenge before us is that our public men’s political characters are getting more and more sugarcoated. And this sugar-coated rhetoric among our vulnerable public men lead as well as mislead us all to nowhere. Regrettably, we, as a nation, today find ourselves at the critical crossroads of nowhere. No wonder, like amoebae, such characters multiply merrily to the advantage of the hardline Hindutva “honourable nibblers” at the BJP-led NDA system of governance. The question here is not one of survival. Nor is there any such thing as “keeping out of politics”. All issues are political. But, the problem is of survival of valuebased democratic polity in the face of inflated rhetoric and ideological woofying which could be disastrous in a transitional society which is not yet quite sure of itself. Of course, the right-thinking persons are still fighting against the feudal system which, in the public eye, has become pliable to the advantage of the Modi-Amit Shah duo. In this growing insensitivity, what is disquieting is the dangerous drift of “no dissent” the saffron party is heading to. 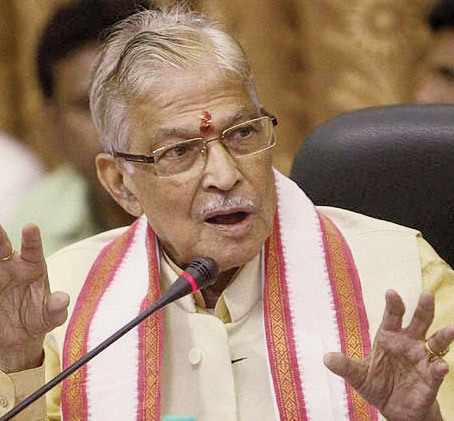 L K Advani Dr Murli Manohar Joshi I have in mind the BJP’s tall veterans, such as L K Advani, Dr Murli Manohar Joshi, Yashwant Sinha, cine star Shatrughan Sinha etc. L K Advani built the BJP. He took it from the Lok Sabha’s two-member party to highly respectable numbers of 198, thanks to his Ramjanmbhoomi Rath that changed the fortune of the saffron party. Prime Minister Narendra Modi should know about it since he was very much on the Rath as “a small fry”. Even otherwise, Advani rendered a great help to Narendra Modi by saving him from the wrath of P M Atal Bihari Vajpayee when he wanted to sack him for his failure to observe “Raj Dharma” during the 2002 developments in Gujarat. But then, Modi is not known for being grateful to his “saviours” and “builders”. 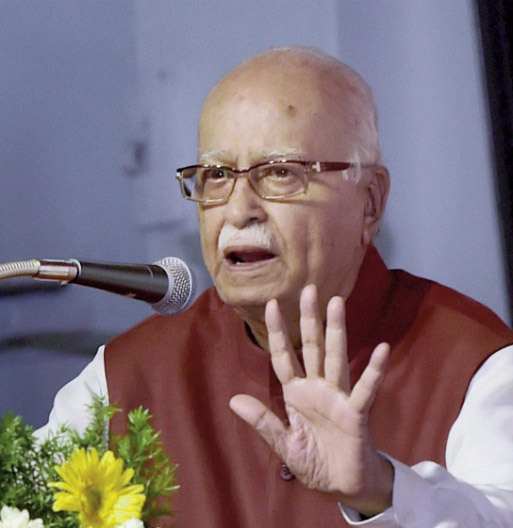 L K Advani is a high class politician who never talks of what he did for building Modi and the party. He belongs to the old school of valuebased politics. How could P M Modi marginalize such a character from the mainstream of the BJP! Similar question can be raised with regard to Dr Murli Manohar Joshi, a great scholar of international standing and a great favourite of P M Vajpayee. Even the RSS values him and holds him in high esteem. He has always been viewed as a high-profile scholar who could adore any high office of the Republic. How come this great scholar does not figure in Modi’s reckoning? Is he afraid of his high scholarly traits and independent mind of thinking? The only question that is bothering me is: why are Advani and Dr Joshi mum on the goings-on within the party and the government? To maintain silence on harsh realities even as “Marg Darshak” is not a virtue since it does not serve public interests. 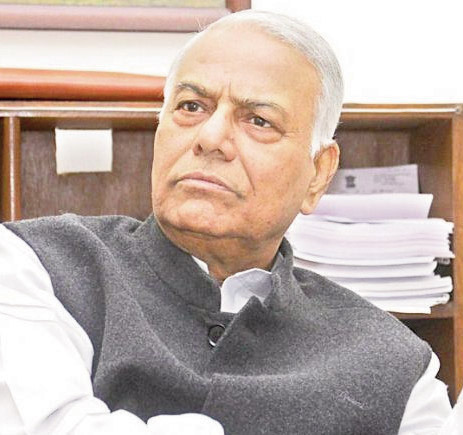 Yashwant Sinha Shatrughan Sinha Equally relevant is the marginalisation of Yashwant Sinha whose politico-economic narratives speak loud. 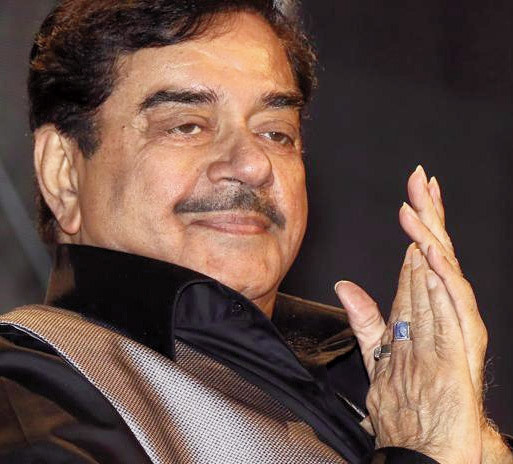 I would also like to put Shatrughan Sinha on the high pedestal of the Sangh Parivar platform. But this youthful brilliant Bihari is marginalized simply because he is vocal on matters of public concern. He is reportedly all set to join the Congress. The moot point is: Can’t the Sangh Parivar leadership view things in a larger perspective? Merit must finally click every issue and not someone’s ability to pull the right strings at the right moment. A bit of soul-searching can help P M Modi & Co. to appreciate the changing global setting as well as larger needs of our all-inclusive society. The ultimate goal of any society has to be one of understanding the “whys” and “hows” of stability and changes required for every segment of the polity. “History is for human selfknowledge…Knowing yourself means knowing first, what it is to be a man; secondly, knowing what it is to be the kind of man you are; and thirdly, knowing what it is to be the man you are and nobody else is. Knowing yourself means what you can do, and since nobody knows what he can do until he tries, the only clue to what man can do is what man has done. The value of history, then, is that it teaches us what man has done and thus what man is”. Viewed in this light, history should be more instructive in failure than in success. Regrettably, those in power never seem to learn from the experiences of other persons or from history, with the result that they continue to promote their own charmed circle of favourites. And when merit is sacrificed and voices of dissent silenced, then democratic institutional frameworks, alas, come under severe strain. Mr Prime Minister, it is time the BJP leadership began to care for the basics that go into the making of New India you often talk about. This should help it to revive the civilisational values that have invariably guided the destiny of our truth-oriented liberal ancient land!